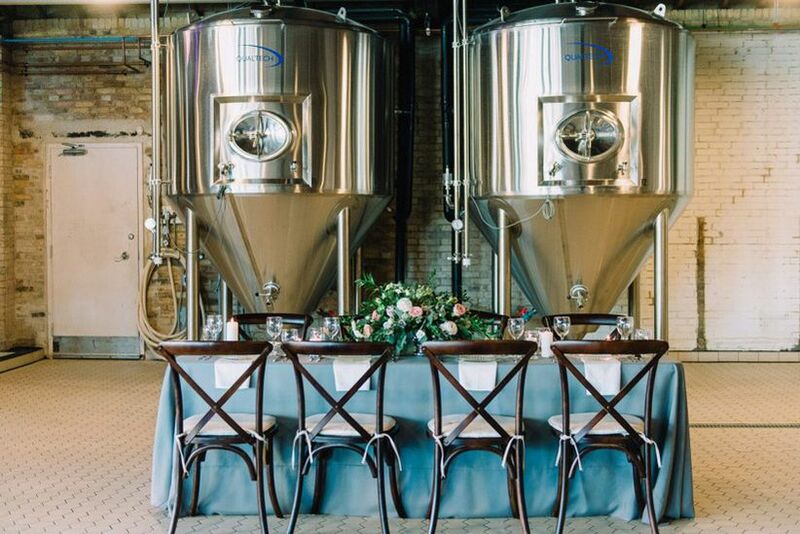 6 Awesome Winnipeg Brewery Wedding Venues | Wedding Ideas ARE YOU A VENDOR? 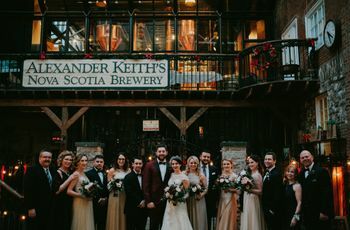 If your love for beer is almost as strong as your love for each other, consider booking one of these awesome Winnipeg brewery wedding venues for your big day. Alternative wedding venues are all the rage right now, and taprooms are some of our favourites. These industrial-chic Winnipeg brewery wedding venues will give your celebration an edgier vibe than any ballroom or barn and supply you with some pretty awesome drinks for your reception, too. 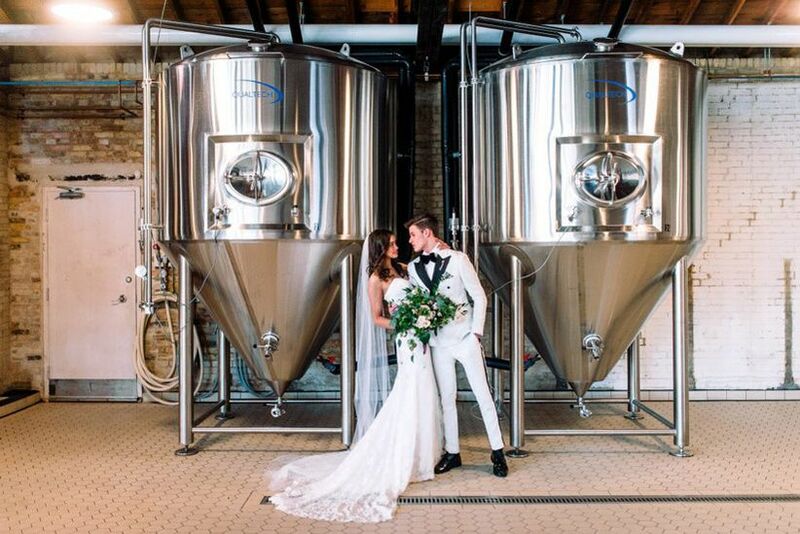 If you’re on the hunt for a brewery wedding venue in Winnipeg, we’ve got you covered. Here are a few awesome Winnipeg brewery wedding venues. 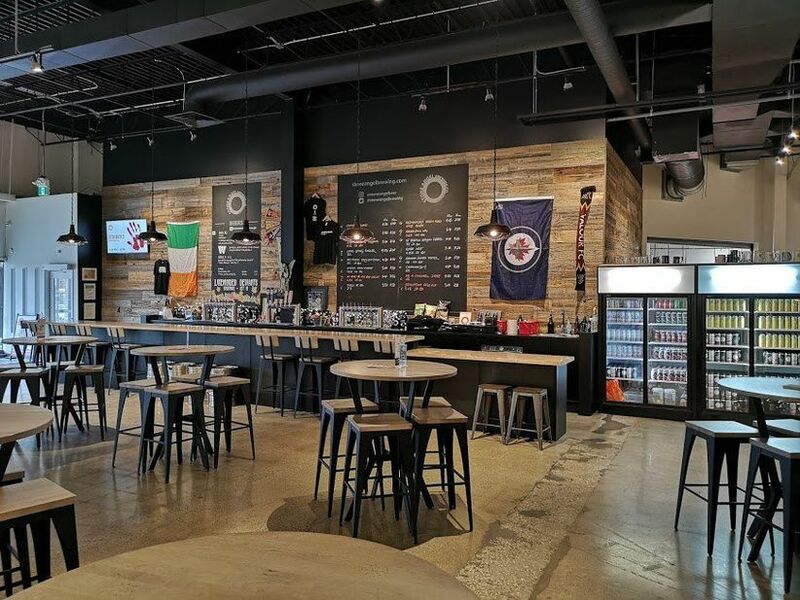 Torque Brewing has a beautiful taproom that can be used for celebrations of all kinds, from engagement parties to weddings. 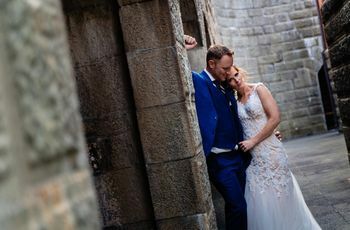 It boasts industrial-style decor, exposed brick and ductwork and distressed concrete floors - perfect for an edgier wedding. The open concept space can accommodate up to 100 people, so be careful with how many plus ones you send out. Bonus: If you want to take your event to the next level, the staff here can even arrange a brewery tour for you and your guests. Stone Angel Brewing Co. is another awesome Winnipeg brewery wedding venue worth checking out. 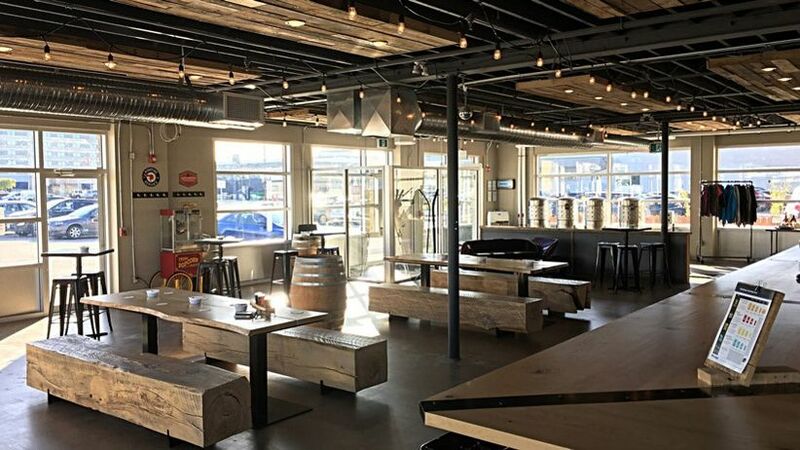 Its taproom space is decorated with a healthy dose of reclaimed wood, concrete and metal - basically all the hallmarks of a killer industrial-chic spot. The main rooms leads out onto an expansive patio, where you and your guests can watch the sunset and mix and mingle (providing the weather is nice). It can fit up to 100 guests, so it’s a great choice for small to midsize weddings. 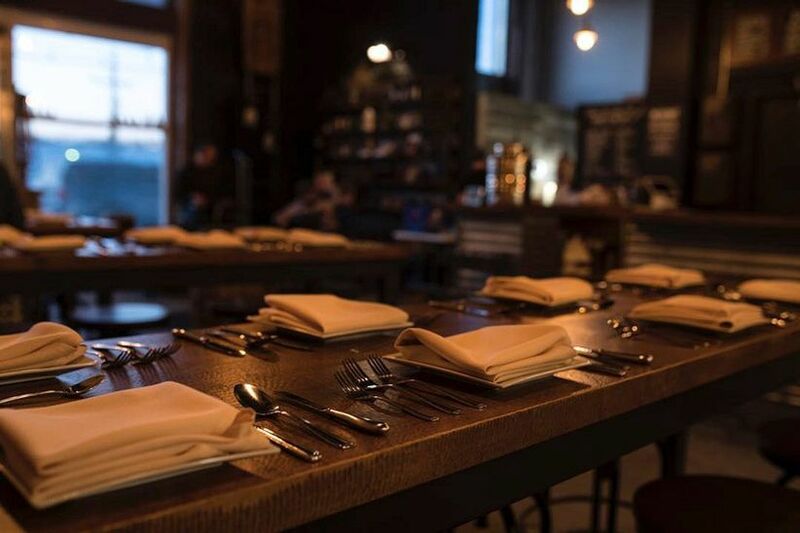 Located in downtown Winnipeg at the old livery on the west edge of the Exchange District, you’ll find Little Brown Jug. First and foremost, this is a production brewery not a brewpub, housed in a lovingly restored industrial space with exposed brick, a timber roof, plenty of natural light and lots of shiny, stainless beer vats. 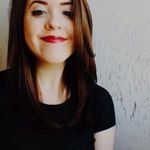 It can only be booked for smaller, semi-private events, as they keep their doors open at all times to the community during business hours, but we say try to book it anyways. A few extra cheers from the sidelines might just add to the fun. 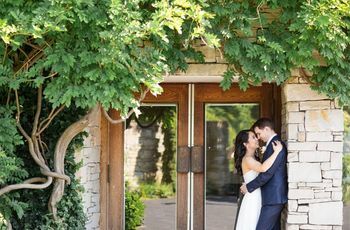 If you’re planning a more intimate wedding, Trans Canada Brewing Co. should definitely be a on your radar. 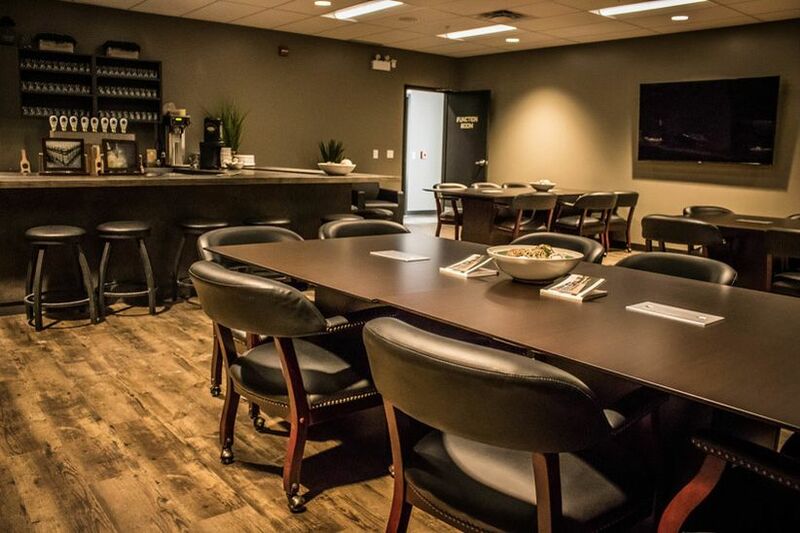 This Winnipeg brewery wedding venue has a function room on its second floor that looks over the brewery and taproom that will give you and your guests complete privacy during your party. The space can fit up to 50 people, so you’ll want to stick to inviting only your nearest and dearest. Barn Hammer Brewing Company is another intimate option worth looking into. It can fit up to 50 of your friends and relatives, so you’ll want to keep your guest list on the shorter side. Inside the taproom (the destination for your celebration) you’ll find wooden tables, exposed brick walls and barrel accents (very on-theme). All you need to do is sort out your catering, order a few floral arrangements and you’ll be good to go. Last but certainly not least is One Great City Brewing Co. 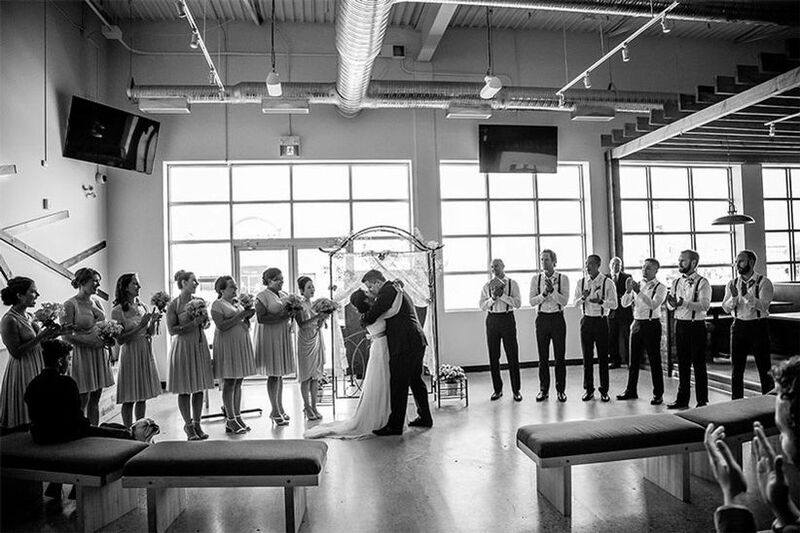 This Winnipeg brewery wedding venue flaunts massive factory-style windows, sky-high ceilings and modern-meets-rustic accents (meaning it’s seriously stylish). 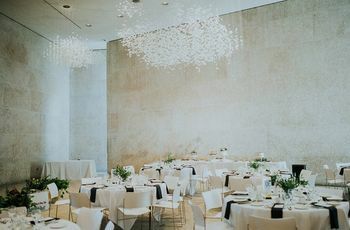 The space is pretty much a blank canvas, so you can have fun filling it with decorations, linens and more that match your unique wedding theme and colour scheme. It can fit up to 100 guests, so it’s an awesome choice for small or midsize weddings.